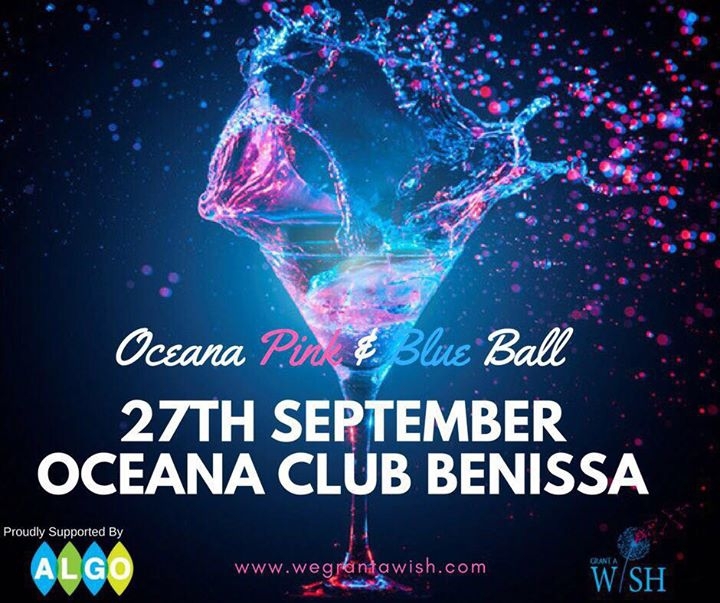 Oceana Club & Grant a Wish Charity ball, limited dinner (65€)and evening tickets (25€) available, 4 course meal with gala cabaret night, Auction, and cocktail evening with a free cocktail and finger buffet. Live music till 1.am , contact us or Grant a wish for Limited ticket availability. This event is not to be missed and all for a great cause. Dress code is Pink & Blue. Handpicked by a Alicante Local Expert, we bring you our guide to 'Best Attractions in Alicante'. Handpicked by a Alicante Local Expert, we bring you our guide to 'Best Bars in Alicante'. Handpicked by a Alicante Local Expert, we bring you our guide to 'Top 10 Breathtaking Locations in Alicante'. Handpicked by a Alicante Local Expert, we bring you our guide to 'Best Golf Courses in Alicante'. Handpicked by a Alicante Local Expert, we bring you our guide to 'Top 5 Luxury Resorts in Alicante'. Handpicked by a Alicante Local Expert, we bring you our guide to 'Best Restaurants in Alicante'. Handpicked by a Alicante Local Expert, we bring you our guide to 'Best Things To Do with Kids in Alicante'. Handpicked by a Alicante Local Expert, we bring you our guide to 'Must See Places For First Timers'. Click here to request a new featured guide for Alicante from your Local Experts!